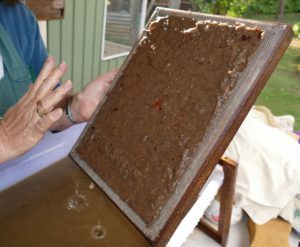 Papermaking is an art form which is very compatible with local food growing and permaculture gardening. Artist, gardener and slow food cook Zela Bissett is offering two x one-hour papermaking workshops as part of the Relish Festival in which participants will get to make (and keep) a sheet of botanical paper derived from common garden plants including lemongrass, ginger, okra, onion skins and turmeric. Zela will explain how to prepare stalks for paper-making and create sheets of botanical paper from seasonal by-products of pruning, weeding and trimming. You will also try some garden taste sensations including lemongrass cordial, rosella syrup and nasturtium capers. 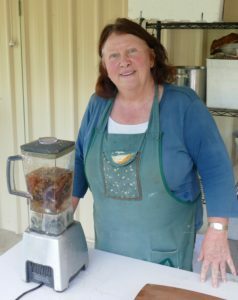 Zela holds a degree in Visual Arts and a Master of Environmental Education, and she combines these to show you how you can make something natural and beautiful from garden by-products. 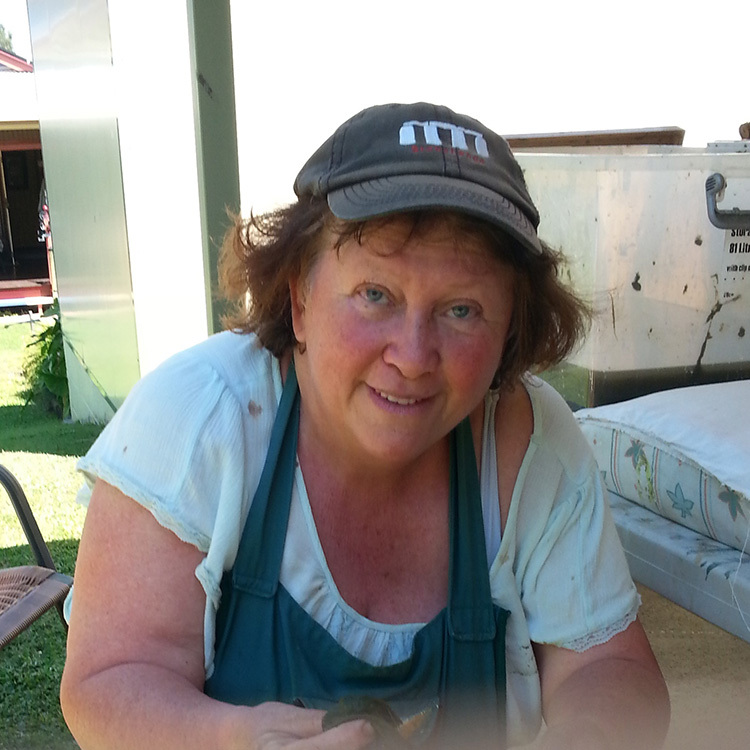 Zela is an experienced and informative presenter who will introduce you to the process of cutting, cooking and rinsing fibres, followed by demonstration of couching sheets of paper using a mould and deckle. A selection of papers will be on sale. Left, above: Paper made from banana stalks and onion skins is removed from the vat. Right: Zela ready to blend cooked onion skins to add to the pulp in the vat.